The Venture Capital Movement is dedicated to accelerating Start-up Ready Individuals capable of exploring the technology industry as part of start-ups, venture capitalist funds or other organisations that support start-ups. 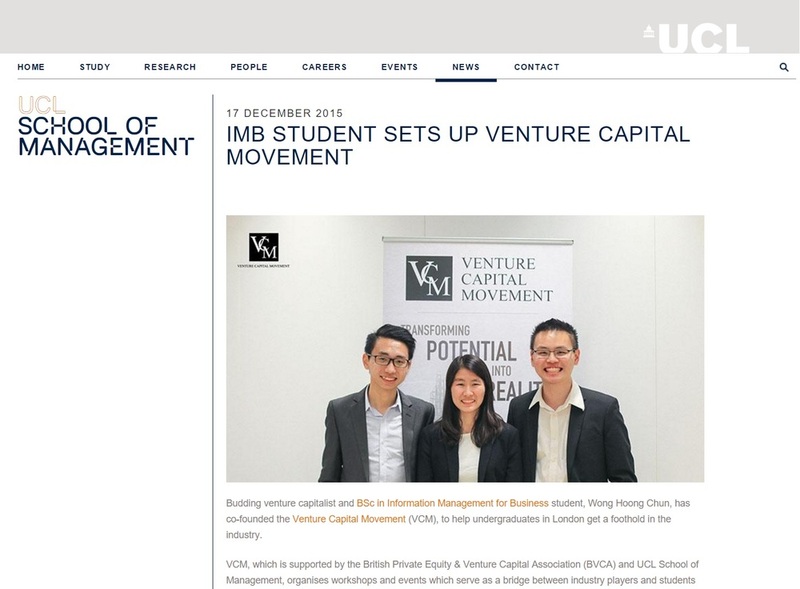 Founded in 2014 as a non-profit and independent student society, our mission is to engage students within university campuses across London on the role of venture capitalists in developing start-ups. Supported by the British Private Equity and Venture Capital Association (BVCA); the industry body and public policy advocate for the venture capital and private equity industry in the United Kingdom. Our growing team of students from University College London and the London School of Economics & Political Science also has strong links with organisations on campus. It’s a brave new world out there, and we would like you to invite you to join us in unlocking the future together.